Watershed groups successfully press U.S. EPA to protect water quality! Following a lawsuit by Massachusetts Rivers Alliance, with OARS and eight other river groups across the state as co-plaintiffs, the EPA’s stormwater permit for Massachusetts went into effect on July 1! This is a victory for clean water that will benefit us all. Municipalities will be required to take additional steps to protect rivers, lakes, streams and ponds from polluted stormwater runoff. 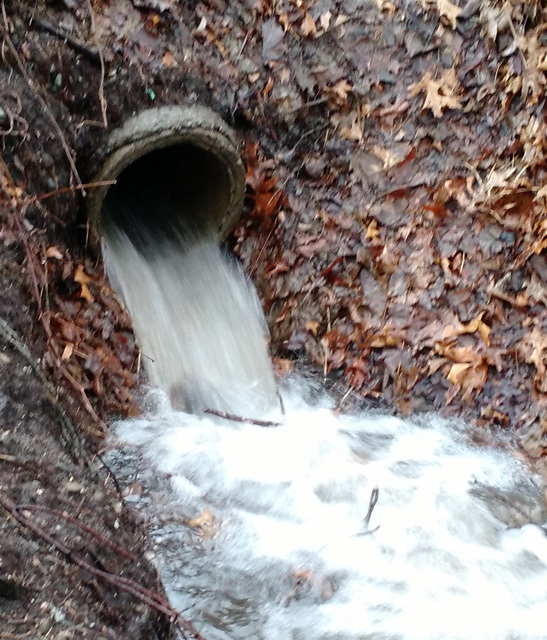 Contaminated stormwater is a leading source of water pollution in the state. The revised Municipal Separate Storm Sewer System, or MS4, permit was to take effect on July 1, 2017. Two days before its effective date, U.S. EPA Chief Administrator Scott Pruitt delayed the implementation for a year even though it was already 10 years overdue. A coalition of watershed associations*, led by Massachusetts Rivers Alliance, sued the EPA, arguing that Pruitt's action was illegal, undermined protections to the environment, and put the health of Massachusetts residents and water bodies at risk. Faced with the coalition's lawsuit, EPA choose not to further delay the permit's implementation, and on July 1, 2018, allowed the stormwater permit to go into effect. Massachusetts' Attorney General Maura Healey also had urged EPA in a court-filed brief to end its delay. The revised MS4 permit requires towns to update and enhance their stormwater management plans, map their stormwater system, monitor outfall pipes, and prioritize cleanup of the most pressing problems—such as the discharge of untreated sewage into nearby waterways via storm drains. The permit also requires public outreach, stormwater recharge, and “good housekeeping” practices such as regular storm drain cleaning and street sweeping. The permit affects all Sudbury-Assabet-Concord communities except Carlisle, which was granted a waiver due to its low population density. It applies to the urbanized areas with municipal stormdrain systems. Find your town's map here. Read more about the MS4 permit here. The river groups are represented by Kevin Cassidy of Earthrise Law Center and Access to Justice Fellow Irene C. Freidel. *The watershed associations in the coalition include OARS, Connecticut River Conservancy, Ipswich River Watershed Association, Jones River Watershed Association, Merrimack River Watershed Council, Mystic River Watershed Association, Neponset River Watershed Association, North and South Rivers Watershed Association, and Taunton River Watershed Alliance. If you have questions and would like to learn more contact Alison Field-Juma at 978-369-3956 or email.